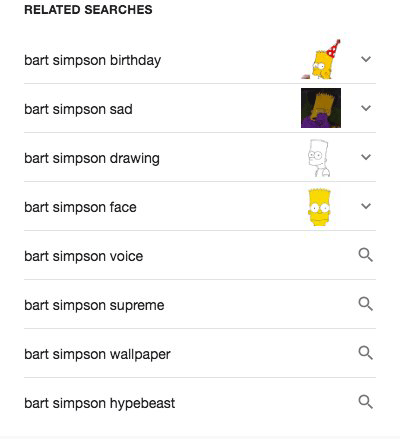 Valentin Pletzer shared a screen shot with me on Twitter of Google testing showing image icons in the related searches box. When they are expanded, they load what looks like a featured snippet. I am not sure if this is a bug or a feature, to be honest. It is like Google is combining features snippets with related searches. They also look like the expandable featured snippets but again, this is in the related searches box. Previous story: Google Search Adds Deep Breathing Meditation Exercises; Maybe For SEOs?